Hyundai Wreckers Auckland is the Best Place in Auckland region to Sell Your unwanted Hyundai car or 4WD. 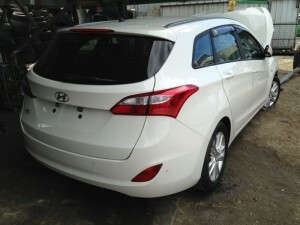 By offering Top Money for Hyundai vehicles we can make Selling Your Car Easy and Fast. So, if you’ve ever wondered “How much you can get for your Hyundai Car?” then We are the best wreckers in Auckland who can offer you Instant Money for Your Hyundai Vehicle on the Spot. By Selling your Hyundai to us you can sell it without the hassle of strangers coming to your door. Simply Call us on 0800 90 90 70. No matter what type of Hyundai vehicle you own, our car wreckers want your unwanted vehicle! With a FREE car removal service available, and cash given on the spot, why would you hold on to your broken or unwanted Hyundai car any longer! Locating HYUNDAI parts from Car Wreckers has never been easier. Hyundai Wreckers Auckland offer second hand and used spare parts, with most offering nationwide delivery direct to your door. Hyundai Wreckers Auckland has gained a reputation for being well priced, with speedy delivery and quality second hand parts for all Hyundai vehicles. Hyundai Wreckers Auckland also has a sister company located in the same area called CarCollection offering used vehicles at better prices. We understand your business and your customer. You often have Hyundai cars in the stock waiting for parts, your customer, you need to keep the jobs moving and we are here to help. Hyundai Wreckers Auckland why we spend a lot of time and money investing in information to identify the parts you require and delivery vehicles to ensure you receive parts fast. Hyundai range: Accent, Coupe, Elantra, Excel, Terracan, Getz, Granduer, Lantra, Lavita, Santafe, Tibron, Trajet, Tucson, Sonta, I30, I45, I20, IX35 and TQ ILoad.